View from the Philly Pressbox – What Really Happened to the Eagles? WHAT REALLY HAPPENED TO THE EAGLES?? As we sit here on Sunday morning of week 13 with the Philadelphia Eagles preparing to play the Dallas Cowboys the Eagles are sitting at 3 wins and 8 losses, tied with the Carolina Panthers for the worst record in the NFC. Carolina beat the Birds last week so technically they are in last place. How did a team with such high hopes fall so far, so fast?? Michael Vick – Vick is not an elite QB in the NFL. Frankly, I wasn’t a big fan when he was running around making plays in Atlanta. Early in the season he turned the ball over game after game that not only kept the offense from scoring but put the defense in bad situations that they couldn’t handle. The offensive line – We knew the injury to Jason Peters in the off season was going to be a big loss; I’m just not sure we knew how big. The rash of injuries to Jason Kelce, Danny Watkins and Todd Herremans has been devastating. Those injuries have kept LeSean McCoy from doing anything this season, 750 yards rushing, after his Pro Bowl year in 2011. Obviously, the lack of protection didn’t help Vick either. The receivers – DeSean Jackson, Jeremy Maclin and Brent Celek have all struggled. They have 45, 41 and 43 catches respectively for 700, 528 and 504 yards. I’m not a huge fan of Jackson to begin with; he’s not an elite receiver especially if he can’t get down the field. Maclin seems to be running cautiously over the middle after getting hit hard a few times. As for Celek, I like the way he plays but every ball that has been off of him has ended up in a defenders hands. Overall, this group has underachieved. Some it could be them; some could be the lack of QB protection and some of it the QB’s themselves. Trent Cole and Jason Babin – These two Pro Bowlers have done nothing all season. Babin’s play and attitude got him run out of town. I wouldn’t expect Cole to be around much longer either. You have to able to rush the QB for your defense to be successful. These two combined for 7 sacks. The defensive backfield – Oh, where to start? They have all played poorly. Nnamdi Asomugha and Dominique Rodgers-Cromarti on the corners have been tough to watch. They don’t cover and they don’t tackle either. Kurt Coleman and Nate Allen never seem to be in position to help out from the safety spots. Coleman is second on the team in tackles with 72 and Allen is third with 55. That in itself should tell you something about the defense. All the way up to last weeks loss to Carolina there is still on going miscommunication on who is going to be where among this group. Coaching change – The firing of Juan Castillo, more importantly the timing of it was interesting. At the time the Eagles defense wasn’t playing that bad. It was the offense that was struggling and the defense was keeping the team in games. The Todd Bowles move has been a disaster. Now not only is the offense bad, the defense is just as bad. The Tale of the Tape – The Eagles have more first downs, 233-209, more rushing yards, 1,420-1,292, and equal passing yards, 2.508-2,509, than their opponents for the season which would lead you to believe they would be having a decent season. The Eagles have scored just 18 TD’s to their opponents 31. The Eagles have thrown 12 TD passes to their opponents 20. The Eagles have 18 sacks to their opponents 34. The Eagles defense has scored 0 TD’s to their opponents 5. The future – With the injuries mounting, and a rookie QB cutting his teeth in the NFL the chances of winning many, if any, games this season seems bleak. There will be major personnel changes soon after the season. Many of the old faces will be gone. The Eagles need to determine if Nick Foles is their man moving forward. Andy Reid will likely be gone or moved upstairs. 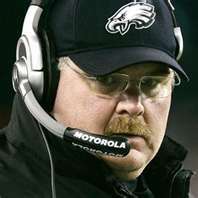 It will be a new beginning for Philadelphia Eagles football in 2013 and it will take time to get back to the top of the NFC. For all of your Christmas needs shop at home at www.shop.com/bobsullivan. This site will allow you to search all of your favorite stores from home, cost compare AND get cash back on all of your purchases. Just sign up as a prefered member for FREE and off you go!!!! Just click on the link or on the business card below. We said goodbye to Brad Lidge. 2008 was a great season. There’s nothing like being perfect. We said goodbye to Wilson Valdez. No more 19th inning pitching wins. We found greatness in Penn State, Kenny Jackson, Charlie, Pittman, Jimmy Cefalo, Todd Blackledge, Chris Marrone, Michael Robinson, Michael Mauti, Lauren Perrotti, Jeff Bast, Susan Welch, Kurtis Cleckner and Jay Paterno, Sue Paterno and the Paterno family. The Phils welcome Juan Pierre. Could he be the leadoff hitter we need? Congrats to Flyers Claude Giroux, Kimmo Timonen and Scott Hartnell for making the NHL All Star team. Especially Hartnell making his 1st appearance in his 11th season. The Flyers go to the All Star break in 2nd place in the Atlantic Division 3 points behind the Rangers. The 76ers finished the week 3-1 and lead the Atlantic Division by 4 games. Congrats to Shady McCoy, Jason Peters and Jason Babin for making the Pro Bowl in Hawaii. A special shout out to former Eagle David Akers for another trip to Honolulu. Temple (15-5) whipped St. Joe’s (13-9), 78-60 at the Liacouras Center. I wish those games were still at the Palestra. Drexel is 17-5 and has won 9 in a row. Penn is 11-9 and has won 3 in a row. LaSalle is 16-6 and has won 3 in a row. Villanova lost to Marquette falling to 11-12.